Hi protein, low carb, low fat, vegan, gluten free, which is the best way of eating to lose weight? Well, to answer that question we first need to look at exactly how dieting gets you to lose weight. Basically, all diets attempt to do the same thing and that is to cause your body to make more fat burning hormones than fat storing hormones. Your body has 6 hormones that will cause you to burn fat and 3 hormones that will cause you to store fat. 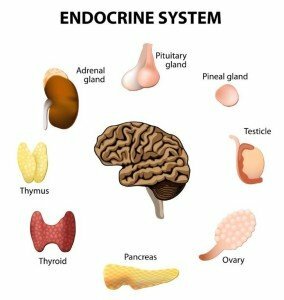 These hormones are made in the glands of your body. By glands I mean, your pituitary gland, thyroid gland, adrenal glands, pancreas, ovaries and testicles. So it is the diet that stimulates your glands to make the fat burning hormones and then it’s the hormones that cause you to burn fat. The problem with all diets is that they assume that your glands and hormones are completely healthy and fully functional. But what happens if the one or more of your glands are broken? 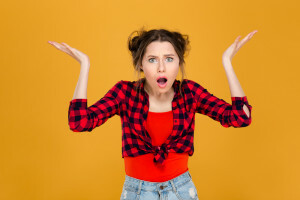 Different diet types (low carb, low fat, low calorie and so on…..) will cause certain glands to make that gland’s specific type of fat burning hormone. This concept is so important that I’m going to say it again, Different diet types (low carb, low fat, low calorie and so on…..) will cause certain glands to make that gland’s specific type of fat burning hormone. For example, high protein/low carb diets stimulate the pancreas to make it’s fat burning hormone glucagon. Now, let’s say your pancreas is broken. Well, if the pancreas is broken then it will not be able to make the correct amount of fat burning hormone. 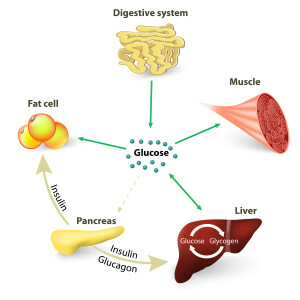 If you can’t make the pancreas’s fat burning hormone glucagon, then you are either going to lose weight more slowly, struggle losing weight or you are just not going to be able to lose weight at all. When a patient comes into my office and they can’t easily lose weight by reducing their calories then the thing that I know for sure is, something is wrong with one or more of the glands in their body. The wild thing is each broken gland will cause its own unique set of symptoms. In addition, each broken gland will cause a person to store fat in a unique place. And yes, a person can absolutely have more than one broken gland in their body. In fact, in some severe cases who just can’t lose a pound no matter what they do, the whole system is broken down. So the goal is to find the broken gland and, now here’s the part that basically every diet in the universe misses, you must now find the thing that is causing the gland to break down. 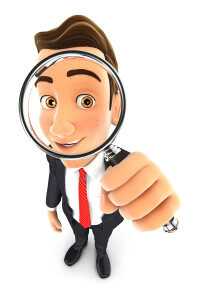 Find the gland that is breaking down and then find out what is causing it to break down. Again this is so important I’m going to say it one more time, Find the gland that is breaking down and then find out what is causing it to break down. For example, I had a patient once that was on thyroid medication for about 30 years. She was also 50 pounds overweight and had high cholesterol. I found that she had a toxin in her thyroid gland called bromine. Bromine just happens to block the absorption of iodine into the thyroid gland. If the thyroid can’t get iodine then it will not work right. Just like if a car can’t be filled up with gasoline then it can’t run. Iodine is like fuel to the thyroid gland. Imagine that you can’t fit the gas pump into your car because someone filled your gas tank with cement. That’s what bromine does to the thyroid gland. It is cement to the gland. The good stuff like iodine can’t get in. So this poor women’s thyroid gland couldn’t work right and of course she couldn’t lose weight. All I did was place her on the correct nutritional program to remove the built up bromine from her thyroid gland and support her body’s ability to burn fat. Sure enough she went off her thyroid medication, lost 50 pounds and her cholesterol normalized. In future emails I’m going to be talking about each gland and the symptoms that can occur when that gland breaks down and the type of eating program that is good for that gland. I’m also going to give you pictures of what the body looks like when each of the different glands break down. If you have some type of unwanted symptom, are overweight or just want to get healthier please fill out the below contact form and let us know what’s wrong and how we can help. Also, you can fill out the Free Online Weight Loss and Health Evaluation and one of my expert staff will call you right away to get you scheduled for a free consultation. Look forward to talking to you at the next blog.